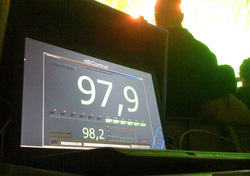 Established in 2001, dBcontrol has been providing sound control and measurement systems in Belgium and the Netherlands for many major outdoor events for almost ten years. Working usually for the promoter, but in close association with local authorities, dBcontrol is able to provide a comprehensive system of realtime on and off-site monitoring of noise levels. By constantly being able to oversee events in this way, any problems can be dealt with quickly efficiently, avoiding any level violations and possible infringement of license stipulations. Through the use of ‘force modelling’, developed by dBcontrol, areas of concern can be highlighted before the event, and strategies, based on their wealth of experience, put in place. Working as an intermediary between local authorities, promotors and engineers, dBcontrol can help to maintain the sound pressure levels demanded by modern concert goers, whilst still complying to the strict levels set for most open air events. Being able to understand the concerns of both clients, authorities and the musicians themselves, dBcontrol is ideally placed to resolve the issues before, during and after the event. Besides sound level management, dBcontrol is also actively involved in research, government and business consultations and education. As a company they provide advice on temporary and permanent acoustic solutions to enable clients to truly “get the maximum out of your sound limit”. Advanced ‘force model’ techniques are combined with many years of practical experience to offer a truly professional service. 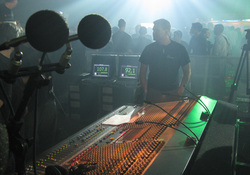 dBcontrol has been involved with many events over the last decade. A short list of our clients are listed on the Reference list page. dBcontrol regularly invites existing and potential clients to events for a demo. Interested? Call of mail! Starting this year, dBcontrol has a new gadget for you! In a secure environment, behind this website only you as a client has access to a secure page for all measurements. This widget gives you realtime monitoring of noire levels during your event. Therefore changes can be made by you, where necessary and we can act and respond appropriately. Becasue of the activities of one of our major clients, dBcontrol went overseas - to America! This was big news for our company and ofcourse a big challenge because of its countries regulatory. 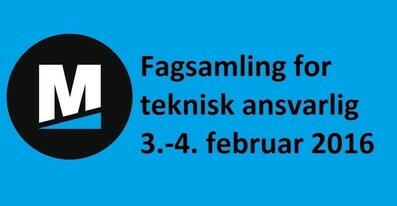 We are looking forward to next upcoming opportunities and challenges!